Within a span of two hours and nine minutes, Bill Rodgers went from obscurity to legend, from Bill Rodgers to "Boston Billy." In doing so, he instantly became the people's champ and the poster boy for the soulful 1970s distance runner. Having won the Boston Marathon and New York Marathon four times each, he remains the only marathoner to have appeared on the cover of Sports Illustrated twice. Winning the Holy Grail of marathons in an unthinkable record time changed Bill's life forever. But his dramatic breakthrough in Boston also changed the lives of countless others, instilling in other American runners the belief that they could follow in his footsteps, and inspiring thousands of regular people to lace up their shoes and chase down their own dreams. In the year before Rodger's victory at the 1975 Boston Marathon, 20,000 people had completed a marathon in the United States. By 2009, participants reached nearly half a million. Thirty-seven years later Bill Rodgers still possesses the same warm, endearing, and whimsical spirit that turned him into one of America's most beloved athletes. 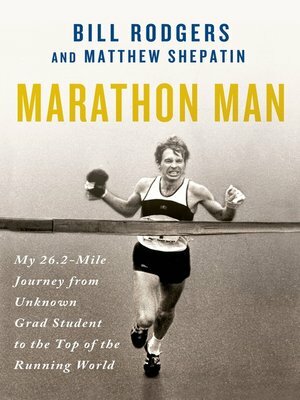 In Marathon Man he details for the first time this historic race and the events that led him there.